This week I'm featuring the best selling necklace from the Missoma x Lucy Williams collection from Missoma Jewellery. This is one of the most successful collaborations I've seen in the jewellery industry with thousands of these pendants being sold. 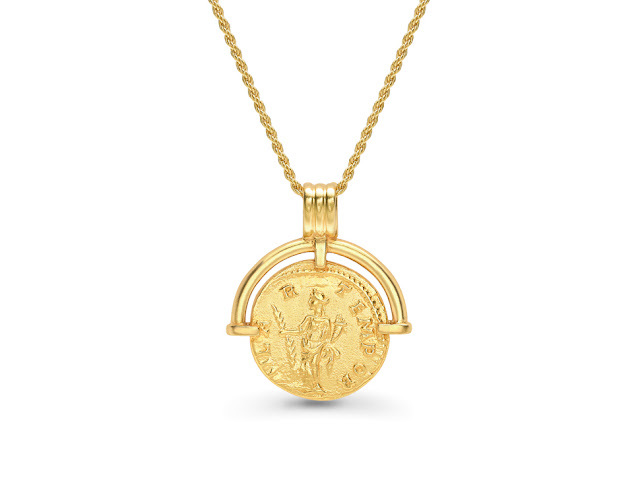 The coins echo the rich, symbolic execution of Roman jewellery, while the fresh interpretation brings amulet status symbols into the 21st century for the modern woman. I love the triple-lined bale at the top and the way that the arc is actually separated from the coin. Part of me wants the pendant to spin, but it definitely doesn't. 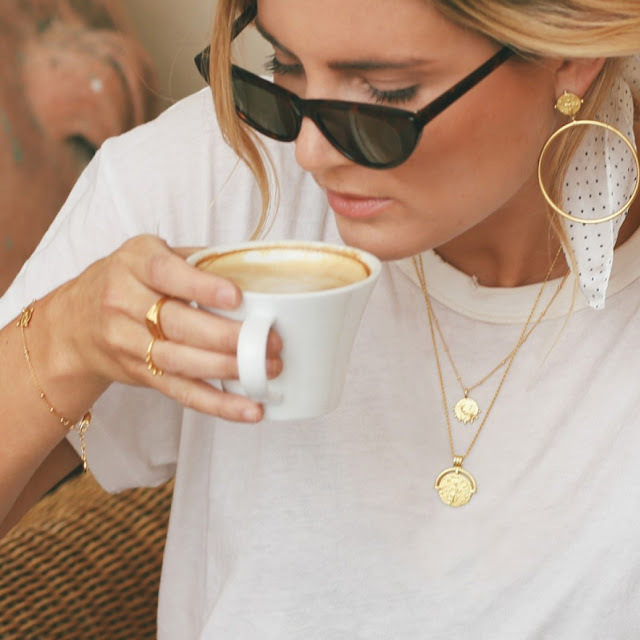 The only thing that I would point out about this necklace is that it is not vermeil but 3 microns on brass instead of the regular sterling silver. The collection was created after Lucy returned from a trip to Rome, Inspired by the city’s antiquities and treasured artefacts, Lucy and Marisa joined forces for the second time to create a collection depicting Roman iconography. The hero pieces of the collection are the pendant necklaces inspired by ancient coins and talismans with cultural motifs from ancient Rome. A passionate jewellery lover with a special interest in gemstones and three years of working with fashion and jewellery brands. Jewellery Curated showcases the best of jewellery trends and brands that you didn't know you loved. What's it actually like to go to a Fabergé sample sale? What is Gold Vermeil and why I love it?